Our 2nd Annual Creative Writing Challenge has come to a close! With the invaluable help of our friends at Live Oak Public Libraries, we narrowed down the entries to the following winners and finalists. Thank you to all the talented students who entered! Each of the first place winners will receive a fabulous ice cream party for their class and were our special guests at a city council meeting where they read their poems for attendees, including Stratton Leopold and Mayor Edna Jackson. 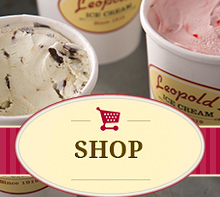 « National Geographic Online features Leopold’s!